The very first thing Elis and I wish to do is to thank our wonderful volunteers Andrew and Penny who gave up their entire weekend and travelled down from Scotland to help us at great personal expense and effort. The weekend would have been far less successful and manageable without them there. Andrew Whitelee and Penny Insole, wonderful people. 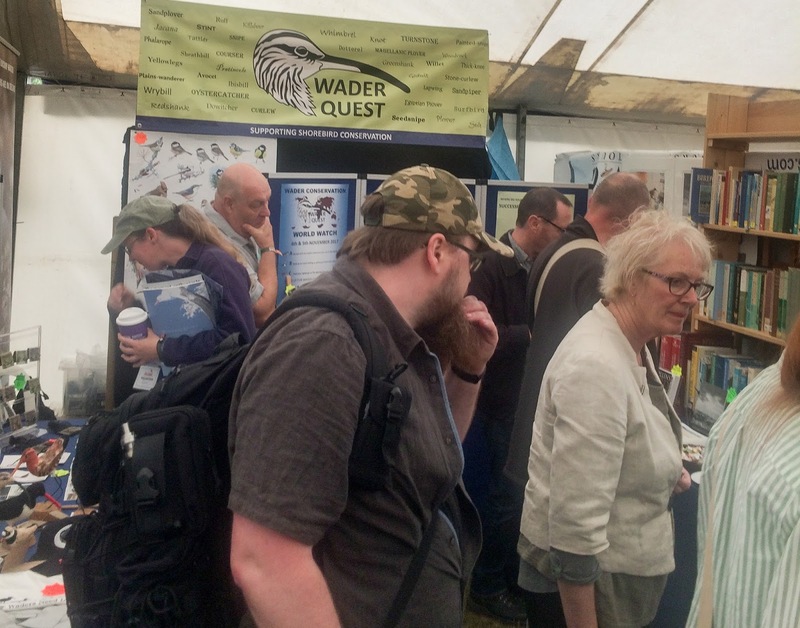 We were pleased to know that our merchandising is still proving popular, pin badge collectors are beginning to become aware of the Wader Quest Collectables line which now features 12 wader species (see details of these and other items on the shop page). We had people coming direct to the stand first thing each morning to collect the new pins and others were sent with a shopping list for those unable to attend in person. 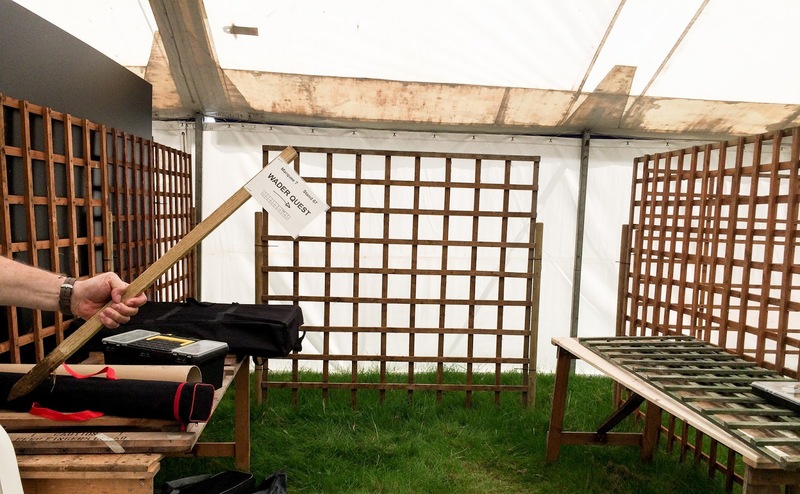 What the stand looks like when we arrive. 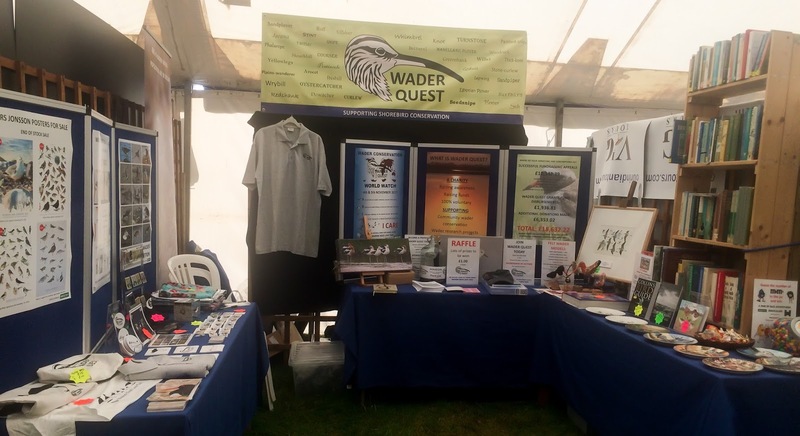 What the stand looks like just before you arrive. 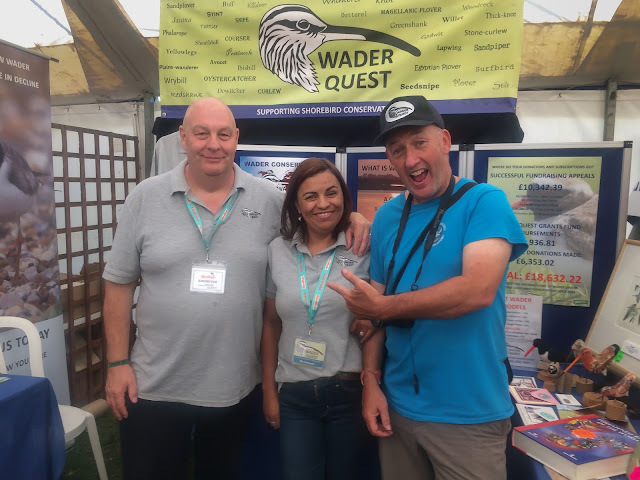 We were also very pleased with the numbers of people who renewed their Friends of Wader Quest subscriptions in person and also signing up a number of new subscribers. What the stand looks like after you arrive. 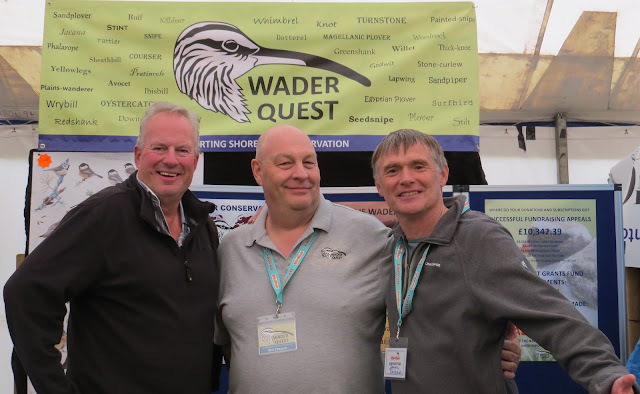 One of the highlights of this event for us is being given the opportunity to give a talk, it is a shame that the time is limited to 20 minutes, there is so much to say about waders, they are such incredibly interesting creatures. 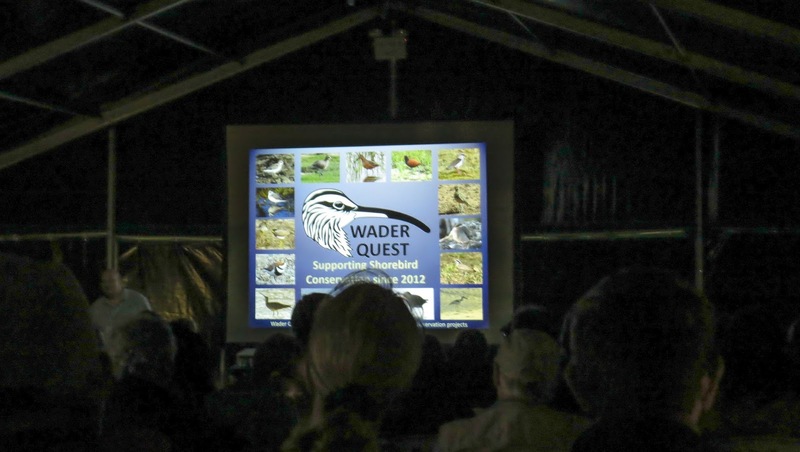 However the numbers that have attended the Wader Quest talks has grown each year and it is a real pleasure to see the auditorium filling up as we nervously fidget with the slide changing controller before the starters gun. 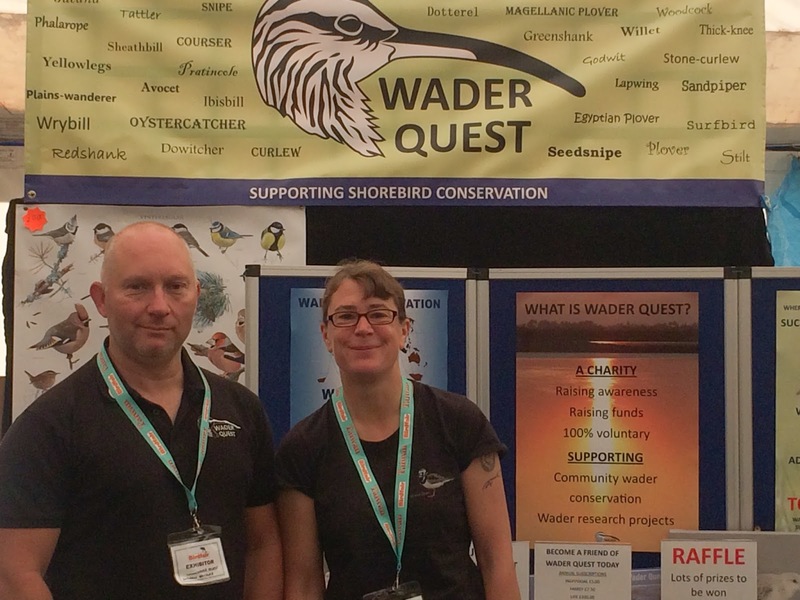 This year we reached treble figures for the first time, so many thanks to all who attended and also for the incredibly kind feedback we received afterwards. The Wader Quest talk for 2017 was The World's Rarest Waders. 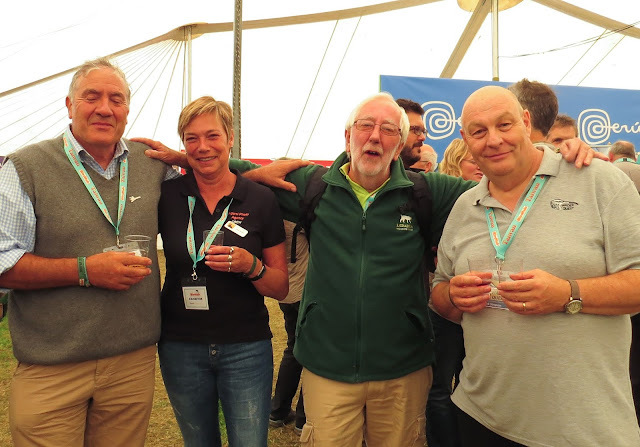 Guto Carvalho, Camilla Williams, Dan Bradbury, Rob Sheldon, Duncan MacDonald, Rik Morely from Wildsounds, Roy de Haas and Anja Nusse of Agami, Peter Jones, Harsh Vardhan, Steve Harford and Jean McKell, Nick Upton, Ellie Wise, Dan Rouse, Josie Hewitt, Mike Potts, Ann Davies, Roberta Goodall, Colin and Anne Horne, Inge Bristow, Gary Turnbull, Richard Allen, Nik Borrow, Sonia Jupp, Colin and Jo Gould, Mark Cornfield, Michael Pittaway, Allan Archer, Ashley, Claudia and Alice Banwell, Andy, Cristina and Olivia Foster, David Lindo and Vanessa Palacio, Erik Hirschfeld, Richard Chandler, Sue Healey and all other Friends, Sponsors and supporters who dropped by the stand and everyone who took part in the Raffle and competitions. If you have been missed off personally, please don't be offended we were very glad to see you, it was the usual Bird Fair melee and our memory is fading with old age. 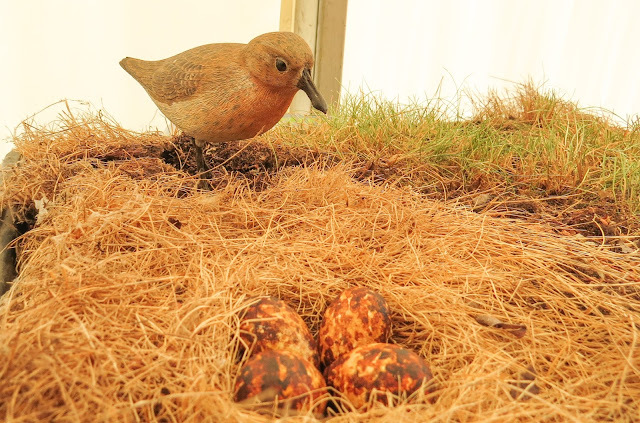 Part of the special Spoon-billed Sandpiper conservation exhibit. 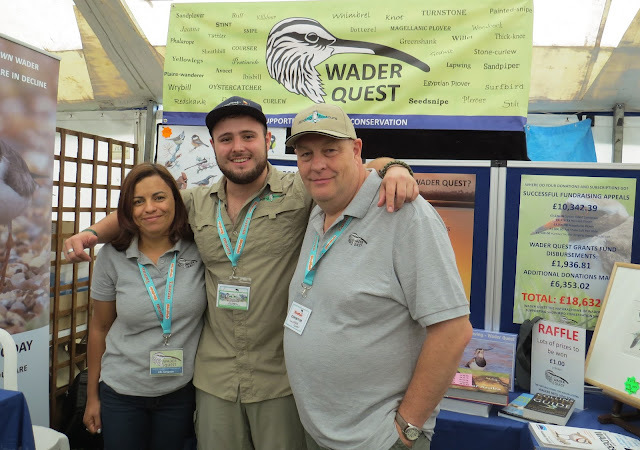 Of course we have to give a very big thank you to Tim Appleton and the whole Bird Fair team for another magnificent event and we are looking forward to next year already. Tim Appleton, Anja Nusse and Peter Jones.